What is the Best MLM Business Opportunity? Looking for a great mlm business opportunity to join? Because there a lot of mlm business opportunities available and taking the time to find the best one for you and your family puts the odds of success in your favor. I make a full-time, executive income in network marketing. Lisa and I currently rank top 20 income earners in our mlm business opportunity with a team of over 11,000 active distributors worldwide. This is the second network marketing business we have built up into the six-figure range in the past ten years. So maybe we can help shed some light on the most critical things to watch out for when selecting a good mlm business opportunity. First it is important to understand you will want to build a business – not just a downline. Meaning you really don’t want to pick any of the mlm business opportunities available if you think you are simply going to sign up, tell a couple friends about the products and services, send out a dozen emails to family members and co-workers and… voila! Magic happens!! A dozen people join, go crazy, and you are all walking the beaches of the world together this time next year. Because it RARELY happens that way. It happens, but not too often. More often you will sign up a couple people from your warm market and they will do absolutely nothing. So, being serious, you now need to find another way to MARKET and PROMOTE your new business and this often takes time, energy and an additional investment. You’ll be hitting the books to learn copywriting and ad writing. You’ll be practicing “what to say and how to say it” and you’ll be attending events and hanging out leaders. In other words, go in with the mindset of building a business – with realistic expectations of putting in a LOT of time and effort over the coarse of 2-5 years or even more BEFORE the massive profits start flowing. Understand every real network marketing or mlm business opportunity is really nothing more than a product and services distribution network. But instead of the mother company going the standard – manufacture, warehouse, national distributor, warehouse, retail store route – they have decided to go “consumer direct” by letting you and your team offer the products, services and distributorships for sale, then pay you a portion of all the normal distribution costs saved as a commission, and then deliver the products straight to the consumer. When you sign up a new distributor who is also interested in building a real business – you have, in a sense, opened up an another distribution center. The KEY to understand is no one makes any money – not you, not your team, not even the company – until somebody buys something. So while you may be focused on sponsoring and recruiting – product must sell before anyone gets paid. Make sure the network marketing company you decide to join offers consumable products – products people will use, consume and reorder on a monthly basis. Why? See Key #1 above! It’s also important to take an honest look at the price of the products and services because while the company MAY actually have the best product of all time… if the price is out of line with normal marketing pricing (think Walmart) then it can be very difficult to build a profitable business fast. Why? Because the unfortunate reality is while many people JOIN, very few people actually BUILD. So if they are not “in profit” within a short 90 days of not doing anythingt o build their business – they will often cancel their monthly autoship of products and services. This is called attrition and it can kill your profitability very quickly. But if the company offers a great product at a fair market price – then you’re good to go. Because now, even though a person might not actively build the business, they will often stay on the product because of the convenience of having it shipped to them on a regular basis without having to reorder, etc. You will also want to join any of the mlm business opportunities that offer products and services in high demand. Who Else Wants to Make $232,865 Blogging? For example, health and wellness products or weight loss products. Go where the money is! NOT with some new fangled product that no one has heard or ever uses or one that requires the consumer to dramatically change a habit. Case in point… vitamins. Most of us are used to taking our supplements in pill form. So now, if you join a company who offers a drinkable vitamin… even though the product may be the absolutely best vitamin in the world… it could very well be difficult to promote because you are asking people to chance their normal consumption habits. A whopping 56% of all new start up companies fail within the first four years. So you can dramatically put the odds in your favor by simply refusing to join any mlm business opportunity that does not have a proven, stable, five year track record of growth and profits. “Ground floor” opportunities are usually a bust because most fail. Why put yourself at risk? Many people get concerned about a particular company getting “saturated” – meaning too many distributors have already joined the company so they think it will be too difficult to build a profitable business fast. Frankly, this is myth. The oldest network marketing company has been around over 50 years, does BILLIONS in sales worldwide and has MILLIONS of active distributors. Not only are they the most well-known, new distributors are STILL getting in, getting busy and creating incredible incomes. Saturation? Don’t worry about it. Understand you will be in business for yourself and, ultimately, the success you enjoy or not will be based entirely on you and the effort you bring to the table. But, join a good team with solid leadership and training can help smooth out a lot of the bumps along the way. Keep in mind, you are thinking about joining a business that depends entirely on sales and marketing – yet most of us have no sales and marketing experience. So you will want to look for a sponsor or upline team leader who not only is producing a fantastic result themselves – but many of the people on his team are also enjoying a great result because of and due to the training provided. Make sense? YOU will always have to do the work, but a good leader will show you how to run the race. Bottom line – the people who make money in network marketing are those who focus the majority of their time and energies sponsoring and recruiting. What a six figure income? Figure on needing to personally sponsor at least 100 active distributors. Want a multiple six figure income? 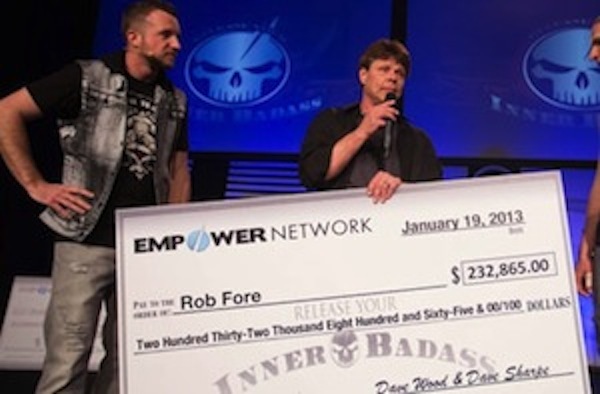 Figure on personally signing up at least 100 new team members for every $100,000 you want to make. So where are you going to find all these people to connect with if you don’t have a proven, highly effective mlm lead generation machine in place for both you and your team? MLM Leads are the name of the game in MLM because everyone will eventually run out of warm market contacts. If you need to personally sign up 100 people to make a $100,000… and lets say you will have to approach 50 people with the your mlm business opportunity to find someone who will join – where are you going to find 5,000 people to speak with? 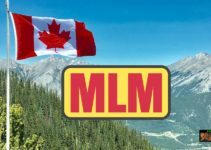 Once you find a simple mlm lead generation system like MLSP – make using the system a part of your team’s culture because as the upline leader who is serious about building a profitable business fast – you want to guide everyone on your team to do the same things you are that are producing a result. Simple systems duplicate. People don’t. Hello, am having difficulties on selling products. Can you help me out? Am actually a Forever Living Products FBO. You have to narrow your goal down to be more specific. Sell more products? To whom? Using what medium? With what budget and other resources available. Until you get VERY CLEAR on where you want to go… and how… you’ll continue to having challenges getting there. Like ALL businesses, network marketing companies come and go… even ones that have been around a long time. Which is EXACTLY why I teach “How to Build a BUSINESS and Not Just a Downline”. We currently rank top 20 income earners with this company – a position we’ve held for 6 or 7 years. But we make much, much MORE money by promoting tools, training, software and other “means of support” to those are struggling to build a profitable MLM. And that market will NEVER go away as long as there are people striving to build a NWM team.